As we face the third millennium, spirituality commands more and more attention - from individuals, families, communities, and even the media. From urban church congregations struggling to meet the challenges of changing neighborhoods and social issues to modern worshippers choosing ancient doctrines and rituals, Americans are searching for answers to their spiritual questions. Do we still believe in miracles? Does heaven exist? Can we find new strength in the mysticism and traditions of the past? And, with this freedom, are we more tolerant than ever before? 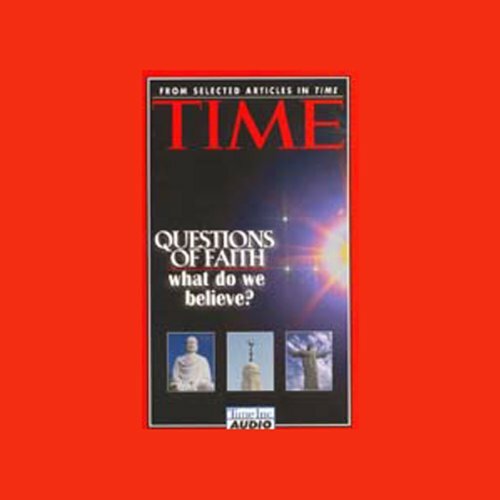 A series of articles from Time magazine explores these fascinating questions of faith and uncovers what it is that we believe, including: "The Message of Miracles", "Does Heaven Exist? ", "The New Testament's Unsolved Mysteries", "The Gospel of Diversity", "God of Our Fathers", "Kingdom Come", "Pop Goes the Kabbalah", "Buddhism in America", "The Lure of the Cult", "Finding God on the Web", and "Other Faiths, Other Visions".